As the Philippines recovers from another devastating typhoon - Wavelengths Ocean Podcast looks back at 2013 when Typhoon Yolanda struck the central Philippines. 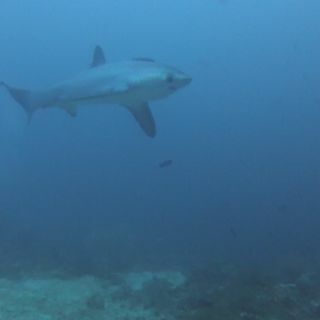 We hear from a resident of a tiny island who credits Thresher Sharks for helping his community recover from the storm. Audio of typhoon Yolanda from top of the episode is from youtube user Christopher Earl Zuniga Nael.